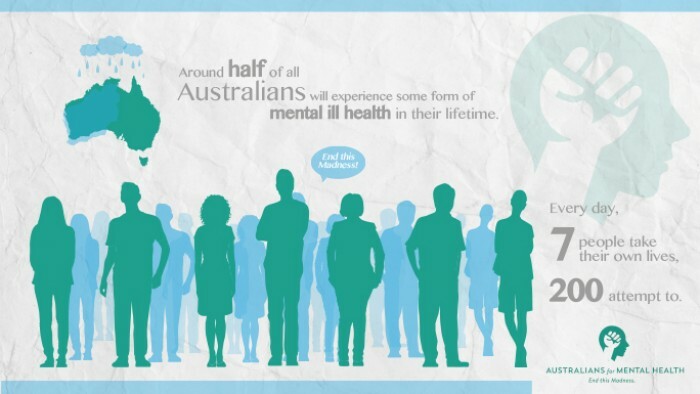 Around half of all Australians will experience some form of mental ill health in their lifetime. Less than half of these people will access treatment. These are people you know. These are people you love. Every day, seven people take their own lives, two hundred attempt to. Every year, thousands of Australians are dying, millions are living unfulfilled and unproductive lives, and hundreds of thousands are being thrown into a life of poverty, exclusion and premature death. The impact of mental ill health is far reaching - millions of family members, carers, friends and community members bear the burden of a broken system. We deserve better. It is failing to adequately evaluate its effectiveness, with no agreed or consistent national measures of efficacy. It often excludes family members and carers, leaving them uninformed and unsupported. This failure is costing our country deeply, in lives and in dollars. Enough is enough. We need more than reports, plans and promises. We need greater and more effective government investment in mental health in this country. We deserve the same level of care for our mental health as our physical health, and we are getting nowhere near it – less than 7% of total health expenditure is dedicated to mental health, despite mental ill health accounting for 14% of Australia’s total health burden. The fact that we are still in this situation is madness, because this crisis is solvable! We have real solutions for mental health in Australia. We have every reason to be hopeful. We have world-class research, innovation and evidence-based approaches, yet these remain sorely underfunded and inaccessible to most people. It is time to end this madness. We have a once-in-a-generation opportunity to reform our mental health system - to save, and improve the quality of millions of lives. To seize this opportunity, we must make sure that mental health is a top priority for all politicians and political parties. The Australians for Mental Health campaign exists to do just this! Australians for Mental Health is a new, community led, national advocacy campaign that, ahead of the next Federal election, will empower Australians to compel all political parties to make mental ill health a key election issue, and to deliver real reform. As a powerful and sustained community movement, this campaign will capture and harness the voices of everyday Australians to draw focus to the chronic shortage of funding and services for mental health in Australia. The campaign will be fully integrated, centralised through a website and supported by a comprehensive online and offline strategy involving traditional and social media, collaborative partnerships, petitions, national and local activities, and events. The campaign will empower and equip Australians to be the voice of change needed for real government action. It is time for real change. 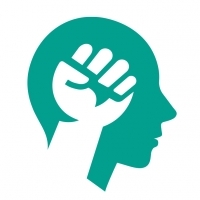 Australians for Mental Health is led by a group of everyday individuals with lived experience of mental ill health and of the failing mental health system. It is also informed by the vast expertise of mental health sector representatives. Together we can end this madness. We’re calling on all Australians who have been impacted – directly or indirectly – by mental ill health, to come together and call for government to take mental health seriously and to grasp the opportunity to get mental health care right. Together we can save lives and ensure the millions of Australians living with mental ill health can lead productive and fulfilling lives. We are calling on you to help make this campaign a reality. We need you to join us. Get mad and pledge your support. Donate now to make this campaign happen. With your contribution, we can make this campaign as powerful as possible. We are initially seeking $50,000 to get this campaign off the ground, but the more we can raise, the more we can do! With $50,000 we can build a well-resourced campaign, take advantage of key promotional opportunities and consult campaigning and lobbying experts to help us further grow the reach and effectiveness of our campaign strategy. With $100,000 we can significantly grow Australians for Mental Health, boost our website with exciting digital campaign functions like petitions, direct communication to MPs and volunteer management and develop eye-catching collateral that will help spread our key messages into more communities around Australia. With $200,000 we can facilitate and support a range of national events and activations such as vigils, local forums, a day of action and much more! Every dollar can achieve great things for this campaign! There are also some fabulous rewards to thank you for your support. Or if you simply wish to donate and don't want to bother with the rewards, just use the donate button… with our huge thanks! For too long, Australians living with mental ill health have been neglected by successive governments. The situation is dire. We need to act now to solve this crisis. Have you ever heard the saying “what goes around comes around”? You’ve just earned yourself some excellent karma. Good for you. To show how much we appreciate you swinging $10 our way we will give you a shout out on our Facebook and Twitter accounts, so you can share your good deed with all your friends. Let everyone (who drives behind you) know you’re on board AFMH with a campaign bumper sticker. Plus we will give you a shout out on social media. Be in the know and in control, with exclusive opportunities to help steer the campaign, and first hand knowledge when we launch new actions. And of course, let everyone know you’re on board AFMH with a campaign bumper sticker. Support the campaign and accessorise your kitchen with this perk especially for the chefs among us. Be one of the first six people to donate $80 and select this perk and we will show our thanks by gifting you with a one-of-a-kind handcrafted wooden chopping board. Domestic shipping only. $100 ‘End this madness’ T-shirt – backer exclusive! Wear your support for the campaign on your sleeve AND your car, with a campaign t-shirt and bumper sticker. While you’re at it, enjoy exclusive campaign information and be the first in the know as an AFMH insider. You and a friend can rub shoulders with the campaign team, our supporters and ambassadors at our campaign launch in Melbourne, and be the first to hear our plans for the next stage of the campaign. Plus, a campaign bumper sticker and be an AFMH insider. Travel to Melbourne at backer’s own expense. Join iconic Australian journalist, Hugh Riminton, 10 Eyewitness News newsreader and regular panellist on The Project, for a good yarn and a good scotch (optional), one-on-one at one of his favourite haunts in Sydney. Travel to Sydney at backer’s own expense. Join the campaign’s inner circle at an exclusive dinner event in Melbourne with the team behind the campaign, and its high profile supporters. Get a behind the scenes look at the campaign so far and hear our plans for the future of Australians for Mental Health. Travel to Melbourne at backer’s own expense. Celebrated jazz pianist Luke Howard will play a one-off exclusive set at the event and location of your choice – the perfect soundtrack for a party your friends won’t soon forget! Location and date to be negotiated between backer and artist at the conclusion of the campaign. Travel outside of Melbourne Metro area will incur additional costs. Enjoy a private concert from Melbourne Duo ‘Sweet Jean’ – Sime Nugent and Alice Keanth – in your home, workplace or another venue of your choice. Location and date to be negotiated between backer and band at the conclusion of the campaign. Travel outside of Melbourne Metro area for the band will incur additional costs. Two of Australia’s most talented young contemporary musicians have teamed up to provide you with this perk. Impress all your friends by inviting them to a private gig from Tim and Nat at the venue of your choice. Location and date to be negotiated between backer and artists at the conclusion of the campaign. Travel outside of Melbourne Metro area will incur additional costs. Progressive pop and alternative more of your thing? We’ve got something for you too! A once-in-a-lifetime opportunity to have two members of Ainslie Wills perform a set in the location of your choice! Location and date to be negotiated between backer and band at the conclusion of the campaign. Travel outside of Melbourne Metro area will incur additional costs. With success both at home and overseas, Whitaker may very well be the next big thing. Imagine how cool you’ll be in five years time when you can tell your friends you had them play a gig in your living room! Now’s your chance, but hurry because there is a strictly limited number of gigs on offer. Location and date to be negotiated between backer and band at the conclusion of the campaign. Travel outside of Melbourne Metro area will incur additional costs.